Find your peace at Lighthouse Cottage. This charming Fairhaven, Massachusetts vacation cottage featuring classic clapboard architecture is the perfect setting for your New England retreat. 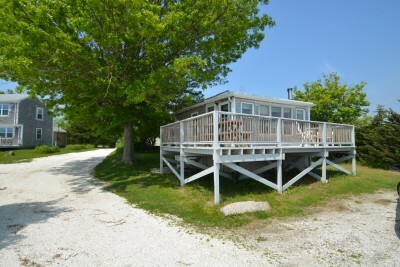 The cottage sits four feet off the ground and offers lovely views of Buzzards Bay. 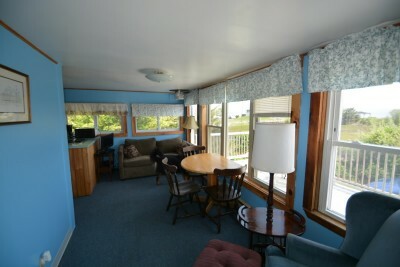 The large wraparound deck is the prefect place to enjoy a book or some sun. 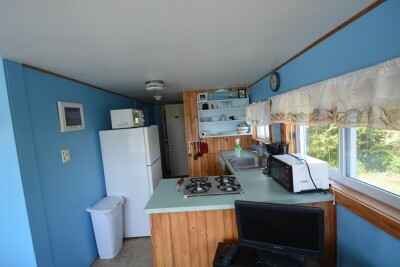 The kitchen features a range, refrigerator, microwave, toaster, coffeemaker, and cooking utensils. There is also a charcoal grill for you to use to prepare delicious meals. The dining area has seating for three. 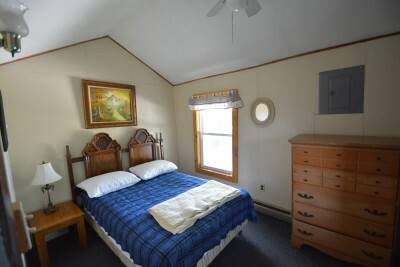 The bedroom features a double bed, while the sofa in the living room pulls out to sleep extra guests. Walk to the bay and take a dip in the water or simply lay in the sun. 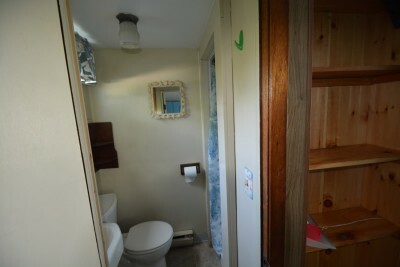 When you return to the cottage, choose between an outdoor shower under the stars or a traditional indoor shower. 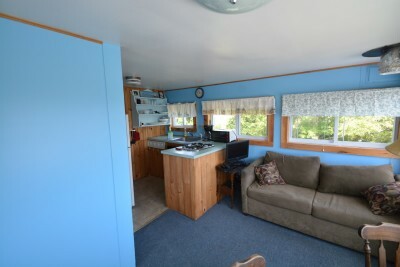 Between the offerings of the Bay and the privacy of this rural but convenient location, this cozy vacation rental home is the perfect vacation destination to get away from it all.